Hi we are excited to announce that Definition will be heading out to Cervinia/Zermatt for the summer camps. 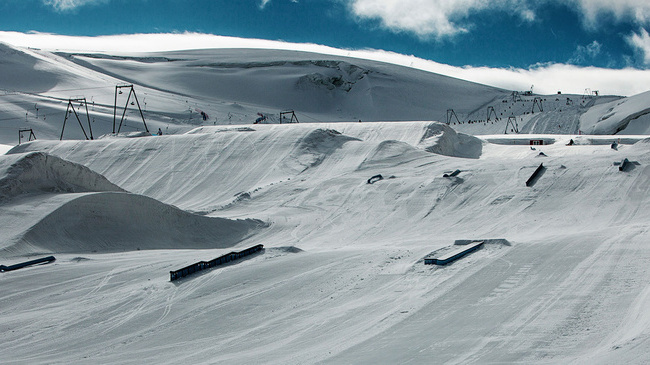 Zermatt’s Gravity park has something for everyone but without the crowds found on the French Glaciers. Our Camps provide the perfect mix of coaching and riding while giving you the chance to ride with a group of like minded people. The summer camp is all about the Park. We will have some riding on piste time working on technique but this will be mainly getting ready to hit the park. On our camps we will take all levels of freestyle. Definition work on an individual basis so you will receive specific feedback to your own riding on almost every run. We will be giving daily video feedback so you can see how things are going. Coaching only is for people that would like to find their own accommodation and meet us each day for on slope coaching + video feedback in the evenings in the Hotel where the main group are staying. The hotel is shared rooms. Single room supplement can be arranged if booking early!! 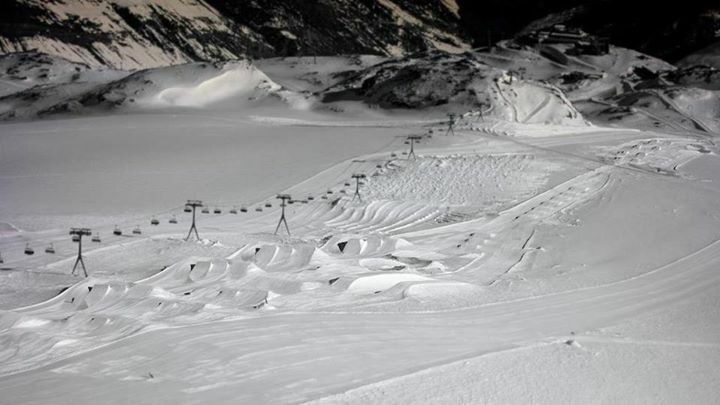 The on snow coaching will be up on the Glacier our main focus on this course is freestyle and Zermatt park has everything you need. The coaching will be early mornings finishing around 1pm as the summer heat make the snow a bit to slushy. Cervinia is on the Italian side of the mountain and had everything you expect from Italy with good food. Check out the summer park.